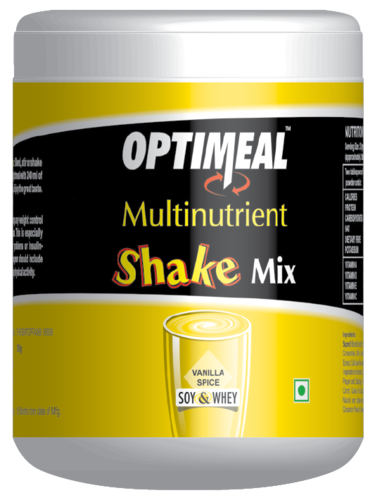 Meal Replacement Optimeal - the first and only product of its kind to contain whole food powders from 16 vegetables and fruits blended with multiple protein sources from Soy,Whey and milk . All impurities have been removed to provide you with a great tasting, lactose free, low fat, aspartame free, glutamine enriched state of the art meal replacement shake mix. Backed by the industry experience of 10 years, we have emerged as one of the leading processors and suppliers of a wide range of Health Supplement, Health Beverages, Natural Oral Care, Natural Skin Care, Natural Lifestyle Products, Soil Conditioner, Detox Patch & Health Ingredients. The range is appreciated for its attributes like unmatched quality, effectiveness and affordable price. With a view to cater to the clients' requirements efficiently, we have set up a Scientific Advisory Board. It consists of talented medical professionals, who are also board certified in the fields of internal medicine, anti aging, gastroenterology, oncology, nutrition, preventive medicine and biotechnology. We are registered under the Indian Company's Act 1956 and follow Good Manufacturing Practices (GMP). Experts employed with us never compromise with the quality and help us process, test, store and pack products as per the industry recommended guidelines. We always strive to come up to customers' expectations and make sure to provide them utmost convenience & benefit. Also, we work in line with the requirements and expectations of our customers who hold prime importance in our organization.